STAY CONNECTED. Sign up to find out more about enrolling at GALA, upcoming information sessions, events and latest news. GALA remains open during Summer Break to continue to welcome students for enrollment. Summer Building hours are from June 11th through August 14th, between 9:30 a.m. to 4:30 p.m. Monday through Friday, and until 6:00 p.m. on Thursdays – additional times may be accommodated by appointment only. Give your child a bilingual advantage, apply today! 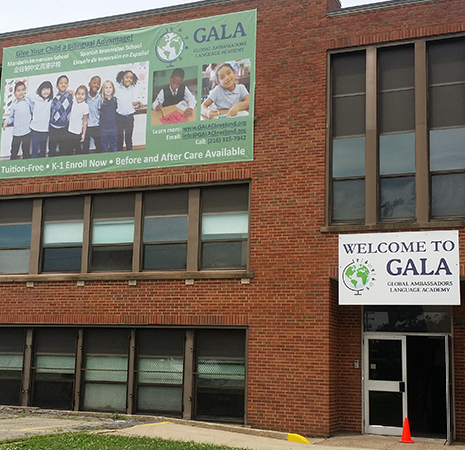 GALA is a Mandarin and Spanish immersion elementary school on Cleveland’s West Side, the only Mandarin immersion school in Ohio, and first dual language immersion school in Northeast Ohio. GALA is tuition-free, open to all Ohio residents, and no prior language skills are required of students to enroll. Global Ambassadors Language Academy © 2018. All Rights Reserved.